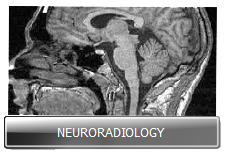 Neuroradiology is a subspecialty of radiology, which focuses on the diagnosis of abnormalities of the brain, spine and head and neck. Neuroradiologists are highly trained physicians who are important members of the diagnostic and treatment team assisting patients with a variety of disorders affecting the brain, spine and head and neck. 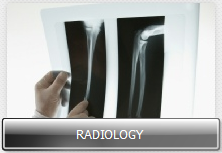 Each day, neuroradiologists serve as members of the treatment team. They are consulted many times a day by a variety of different kinds of doctors who seek guidance in choosing the correct imaging test and for understanding the interpretation of neuroimaging studies and diagnoses that are established. Neuroradiologists interpret x-rays, magnetic resonance images (MRI), and computed tomography (CT) scans of the brain, spine and spinal cord, face and neck, and peripheral nerves. They also perform angiographic studies of the brain and spine and interpret the findings. The examinations described above, allow neuroradiologists to diagnose stroke, tumor, genetic conditions, aneurysms, Alzheimer’s disease, and many other causes of neurological dysfunction at an early stage. 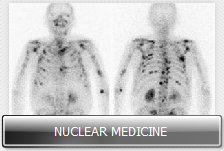 They order and interpret x-rays, magnetic resonance images (MRI), and computed tomography (CT) scans of the brain, spine and spinal cord, face and neck, and peripheral nerves. Early diagnosis allows the treating physician a neurologist, a neurosurgeon, or a neuroradiologist, to accurately counsel the patient and start the best therapy at the earliest possible time. Minimally invasive treatments for many neurological disorders, such as brain aneurysms, arteriovenous malformations, and compression fractures of the spine are mainly performed by neuroradiologists many of whom have training in these special interventions.